At some point in time, everyone needs some form of emergency dental care. 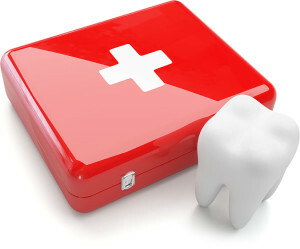 Memorial Family Dental has tips to handle a dental emergency before you can make it to a dentist! Begin by cleaning around the sore tooth meticulously. Using warm salt water, rinse the mouth to displace any food trapped between teeth. Under no circumstances should you use aspirin on the aching tooth or gum. In the event of facial swelling, apply a cold compress to the area. For temporary pain relief, acetaminophen or ibuprofen is recommended. Call our office for an appointment with your dentist as soon as possible. Rinse the area with warm water. Put a cold compress over the facial area of the injury. Recover any broken tooth fragments. Call our office immediately for an appointment. Tooth darkening or discoloration after a trauma is similar to a bruise on the skin. If discoloration does not resolve after a few weeks or your child continues to feel pain, call our office for an appointment. Recover the tooth, making sure to hold it by the crown (top) and not the root end. Rinse, but do not clean or handle the tooth more than necessary. Reinsert the tooth in the socket and hold it in place using a clean piece of gauze or cloth. If the tooth cannot be reinserted, carry it in a cup containing milk or water. Because time is essential, call us immediately for an appointment. Fold a piece of gauze and place it (tightly) over the bleeding area. Have your child bite down on the gauze for 15 minutes; if bleeding continues, call us for an appointment. Over-the-counter medications will usually provide temporary relief. If sores persist, call us for an appointment.